Home In the film about the last days of Apartheid, 'Endgame' (2010), Willie Esterhuyse is played by William Hurt. 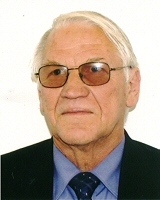 Willem Petrus Esterhuyse was born on 19 August 1936. He studied Stellenbosch University from 1958 - 1964 (MA, DPhil, 1964). After 28 years as professor of Philosophy at Stellenbosch University, he is now a part-time professor of Business Ethics, Graduate School of Business, Stellenbosch University and a part-time lecturer of Executive Management Programmes, Graduate School of Business, University of Cape Town. He wrote of a regular column in F & T Weekly, a financial journal, for 10 years, and a weekly column in Die Burger, Beeld and Die Volksblad on ethical issues. He is married to Annemarie Esterhuyse, née Barnard, who is a lecturer in Mathematics at Stellenbosch University. They have two daughters and four sons.